Extremely annoying, do not buy, especially for a business. Bought it for my new retail store and hate it almost as much as my customers who try to leave messages and just get cut off. It may have cost me sales, who knows. One of the cordless handsets has a battery that is defective. It is also common to think you have keyed in a whole telephone number only to find after a while of waiting to hear a ringtone that the key pad didn't register one of the buttons you pressed. We now spend time very deliberatley pressing the numbers to avoid wasting even more time. The only reason I haven't changed it yet is that I work so many hours I have had no time. When I do buy a new one I intend to destroy this model with a mallet, or by rolling over it with my truck. I feel I need revenge and satisfaction. Terrible product. I've had the E2562 for about 3 months now and I've had no problems whatsoever. Ok, so I also have to mention that I'm not using the 2nd line, which I saw was causing some of the problems with the phone. The answering machine works like it's supposed to. If anything, I wished that both the base and the cordless were sharing the phone book because it's really annoying having to save phone numbers on both everytime. 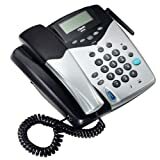 I purchased this phone with high hopes of it being able to handle both personal and business lines well, and in a discreet way. 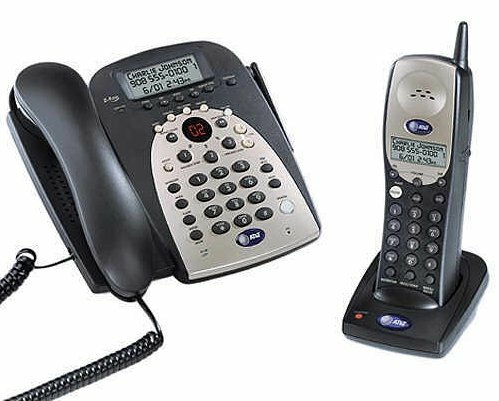 The fact is, the electronic features of this product are brilliantly thought out and the phone system functions with a high degree of intuition. It also has a quality "feel". The problem is, the voice quality (ultimately the bottom line) is poor (people complained) and the sound reproduction of the answering machine is simply dreadful - for me it was unacceptable. 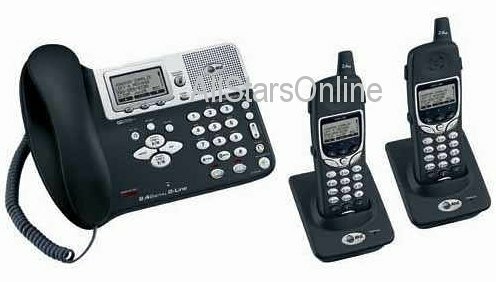 Another problem, is that the two base units for the cordless handsets (not the handsets, themselves) that I got with this phone (I purchased an additional one) interfered with the VHF reception on my TV to the point of rendering it non watchable. As long as one of the base units was plugged into a wall receptacle somewhere in the house, it produced tremendous visual and auditory interference on the TV across the VHF spectrum (I use an antenna for off-air viewing) that made it impossible to view ANY programming. Unplug the base units from the wall (again, I'm not speaking about handset use) and the problem stopped immediately! Go figure! This promising product needs further refinement to be viable. I returned mine for a refund. Like other reviewers, I had the same problem with about 25% of line one calls cut off and the answering machine asking the caller for a security code. I tried 3 different E2562 phones including one replaced by AT&T. All the replacements had the same disconnect problem on line one. Line two was perfect on all phones. The reason I'm giving this phone 4 stars is that I overcame the answering machine problem by using my phone providers voice mail for line one. 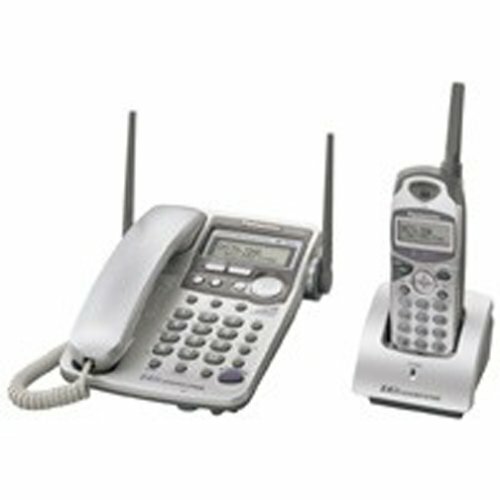 The E2562 is far superior to other 2 line systems I've tried including Uniden and VTech. The E2562's sound quality, speakerphone quality and ease of use are the best I've found in any phone. The handsets have a good feel and battery life is excellent. 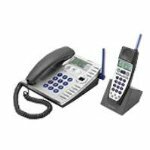 If you can live with the answering machine snafu, this is the best 2-line expandable phone system at an affordable price. We decided to spend a little more money and go with a cordless phone that we could expand with.Along with this phone we purchase two additional handsets.What a big mistake.In less than a year, the LCD screen on two of the handsets doesn't work(no caller ID, previous caller etc. ).The battery on the other handset doesn't hold a charge or indicates that you're out of range, get closer to the base.. when you're standing right next to it. Needless to say we were very disappointed and are once again phone shopping. I must have got a good one or something after reading some of the reviews.Mine works great, no problems.Of all the cordless phones I have had in the past, this one has more distance in between the base and extension than any of them, much farther than the 5.8 ghz phone I have in the shop.For the money, I don't think you can beat it.I've got much more expensive phones that don't work half as good as this one. I use this phone mainly for the speakerphone feature (for conference calls).My review is purely based on the base unit since I did not hook up the cordless handset.For this price, I expected a good speakerphone but it'll only pick up my voice when I'm talking within 2 feet.I've tried several speakerphones, and I thought I found what I need in this but was disappointed.Bought it at Staples for $150 and planning to return it, and get a cheaper phone (value for money).Features that I liked about this phone are the caller-id, and mute feature.Overall this phone is ok, but not for the price I paid for. FIVE STARS if it weren't for one key problem ...the display goes blank and stays blank. However the great news is ...there is a reliable fix for this problem.Unlike other comments in this feedback forum, the fix is not simply to replace the original Ni-Cd batteries with the new Ni-MH batteries.The second key finding of my problem solving was that the remote cordless phone's recharge-base electrical cord and power supply can come loose from the wall outlet and cause a weak and irregular trickle of power to the phone while it looks like it is charging.My advise to anyone that has or is interested in buying this phone system is to replace the Ni-Cd Panasonic batteries with a Ni-MH (ex. Energizer ER-P511) batteries as soon as possible, even if you have to discard like-new Ni-Cd batteries.Secondly and just as importantly ensure that your charging-base power cord is very securely plugged into the wall outlet.If your phones are not new, then make certain that the `metal-to-metal' components of the charging-base and the cordless phones are clean.Also make certain the springs that are located inside the cordless handset battery compartment, which contact the battery are clean. The combination of the power-cord problem and the Ni-Cd (memory sensitive) batteries causes early failure of this type of battery.The low-power battery then causes problems with the phones.The worse problem is that you totally lose the display, but other problems such as short-talk time and call-disconnect can also occur.The Ni-MH batteries and the power cord wall connection-check will make this phone system GREAT! Within the 1st few weeks of owning the phone the cordless battery needed to be replaced.A few months later the cordless earpiece stopped producing sound.I've bought numerous $20 or less portables that are tougher and a better value.The base unit is fine but does nothing extraordinary that you can't get for less elsewhere. A good combination of "Two Worlds"
This phone is a good combination of both the "corded" and the "cordless" worlds of phones.The corded "home station" of this phone will work even if the power is off, which is something many people overlook when buying a phone.The adjunct handset can be put anywhere there's an a/c outlet, and doesn't require a phone jack. I have telephone company voice messaging, so the Message Waiting light is a real plus.The speakerphone has good sound quality.My only complaint is that the home station doesn't have any autodial keys for frequently called numbers.All stored numbers are in the main directory.Also, interestingly, there is no place on either station to record your own phone number. However, my likes outweigh my dislikes on this phone, and I definitely recommend it. The quality of this phone has turned me on to vTech again! The voice quality is great; only downside is the handset bade, which is poorly designed and rarely makes solid contact with the cordless battery. But the corded phone and speakerphone are great! 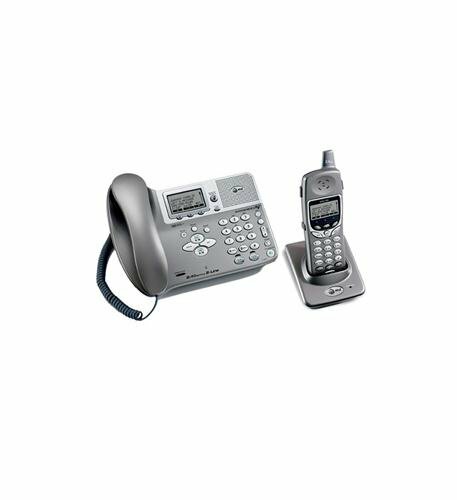 After past success with Panasonic cordless phones I felt that it was worthwhile to spend the extra money and purchase this 'deluxe' unit.One thing that put me over the top was the $50 mail-in rebate at the time.In the end I paid about $100 for this phone. Before I go over the problems I will give credit where credit is due. -The volume on the base unit is good. -The speaker phone is clear and as loud as you want it. 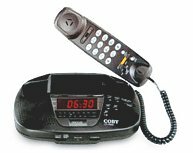 -The cordless unit has a plug in for a headset. -There are other base unit features that somebody might have a use for.I am not sure who. OK, now the bad parts. -The first battery for cordless unit was toast after 10 months of relatively light use. -The base unit is CORDED, so it has limited uses. -You can't scan your calls from the cordless unit. -The base unit does not work well when wall mounted.Hard to see, hard to use. -Battery for cordless unit is impossible to find and expensive. -Volume on cordless unit is too low when you use a headset. -Second battery has lasted only three months after regular use. Right now I have two options: (1) Buy another battery for this unit, (2) buy another cordless phone.Most of the negatives that I have stated above are somewhat easy to work around.I just don't expect to have to work around issues on a $170 phone.The real show-stopper is the battery (cost, availability, and life).I purchased a $35 Motorola for my mother about 18 months ago and the battery just ran out, her penchant for yacking notwithstanding.I guess that I am going to cut my losses and get a decent phone. If you are looking for a deluxe phone, unless you can get this one for about $30, I would avoid it like the plague. It is not convinient to work with direct dialing through cordless set. There are only 3 direct dialing numbers available - should be at least 10 for our days. THE WORST THING of this phone battery in the cordless set are dying within 5 minutes. In the begining Battery was holing the charge for abt half an our. After about 6 month of using I can not make a call - battery dies as soon as I am starting to dial the number. Worthless when the battery is always dead! This is a very nice base unit coupled with aworthless handset.I have returned the whole system once to Panasonic and replaced the battery three times in one year.It has always been charged according to directions.Apparently, this model is the victim of short sighted engineering.Stay away unless you have a garage full of expensive batteries for the handset! The display on both the handset and phone died after 2 months of use.I think there are quality issues with this phone. The handset stopped working after 1 month of usage and replacing the batteries didn't work. It is a piece of junk. Also the answering system you can't hear the messages clearly, so I have to keep playing them until I can make some sense out of them. The LCD screen on the base is very poorly visible. If you fix the contrast it puts it too dark or too light, no happy medium. All in all looking for a unit to replace this one. What a waste of money. Should've read reviews before purchasing. GOODLUCK! After using this phone for two weeks the battery on the cordless phone would not keep a charge for more than 5 minutes.Replacing the battery has not helped and I have found other review sites for this phone with the same problem desciptions. 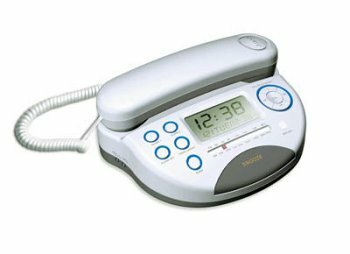 Other than the battery charging system problem, the phone works fine except for the answering system.It is a typical garbled digital answering system. I bought this because i really love the features that it offers. The caller id works just fine, so does the radio and the alarm. But during phone conversation i would hear a really annoyingand piercing beep coming from the phone, as if someone is pressing the knobs whilst i was on it. also, the ring tone is lame, and the snooze button does not snooze to the time u set it...if u set to snooze for 10 mins, it snoozes for 15 mns. 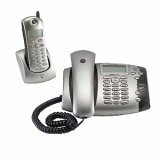 Brushed metal corded desk phone is the ultimate retro phone!